Praise God in his sanctuary, praise Him for His mighty acts, praise him for his excellent greatness, praise Him with the sound of the trumpet. Let everything that hath breath praise the Lord. Psalm 150. A music ministry at Grace is available for all age groups and with a variety of possibilities. 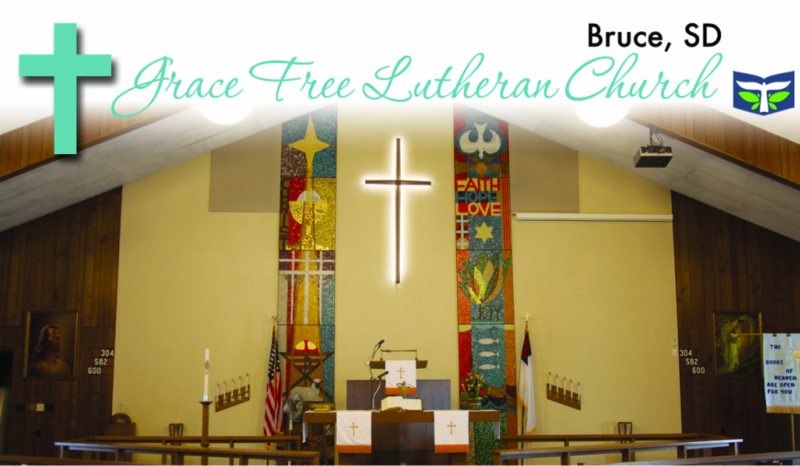 Lutherans are notorious music lovers and enjoy participating to their hearts content. As we lift our voices in song to the Lord, a real blessing fills our own hearts, right where we are. It is a wonderful experience joining our voices in corporate worship in this special way. Luther commented that "I am strongly persuaded that after theology there is no art that can be placed on the level of music." The hymnal has been called the "laymen's commentary" and presents the doctrines of Scripture in a very meaningful and practical way. We enjoy the solid hymns of the traditional church sung with our new Rodgers organ. And we also enjoy adding contemporary music to compliment our worship using multi-media background. Our mixed choir enjoys meeting routinely to rehearse and add to our worship experience. And our Ladies Choir also participates in worship providing an enjoyable time of fellowship together as they rehearse. Music forms an important part of our Sunday School program each week and the children and youth regularly sing for worship. A children's bell choir display a contagious enthusiasm in ringing their bells for fun and for the glory of God. A youth bell choir is being formed to continue this genre for many more years of participation. Young instrumentalists accent the choirs and congregational singing on a number of special occasions. have an event to add.